You Think For Ladies Only? 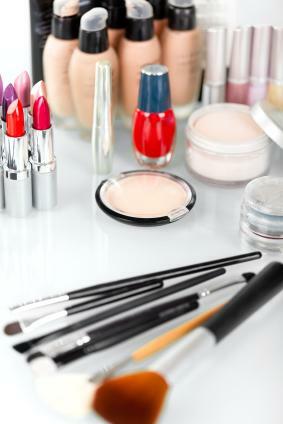 When it comes to Hong Kong Cosmetic Shopping, you are sure you are in the frontier of the trend. Many cosmetics, especially perfume, are too new to be available in the stores. But you definitely can get it first hand here in Hong Kong. 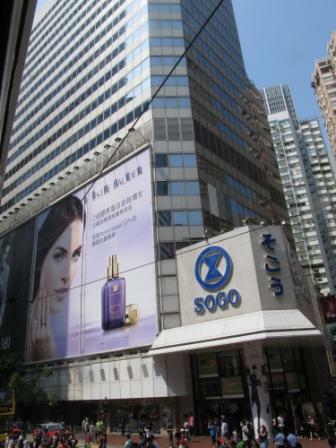 1) Sogo Department Store, Causeway Bay - I used to shop my cosmetics and skin care products here. This area is packed all the time. Every counter has several representatives to help customers, like you, to find and/or test the right cosmetic and skin products. Brands are more Asian oriented. After your cosmetics shopping, go to their basement to check out their supermarket for the Hong Kong Food Shopping. 2) Seibu Department Store, Pacific Place - Very similar to Sogo. It's not as crowded as Sogo. Brands are more western oriented. There is also another great supermarket in the same mall. Make sure to check it out as well. The downsize of doing cosmetic shopping in above places is that you may end up buying stuffs that you don't need. Most of these representatives are very pushy or hard-sale. But the quality is absolutely top of the line, so as the price. 3) FANCL - It is between having a representative to guide you through and self-serve. It sells this Japanese brand of cosmetic and skin products. 1) Body Shop, Crabtree and Evelyn - Of course, they sell their own brands. You will find stuffs that you can't find for the same store located in different countries. I always loved to get some special colors mascara and eye shadow in Body Shop. 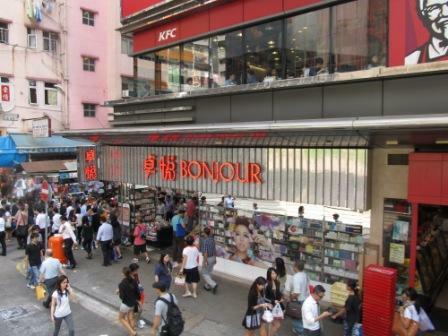 2) Bonjour Cosmetic and Sa Sa - These are 2 BIG chain stores for self-serve Hong Kong Cosmetic Shopping. They have tons and tons of varieties of perfume with AWESOME price. They also have representatives in store to assist you if you need. But I tried to stay away from skin products. They may not as fresh as those in Sogo and/or Seibu. I only go there for perfumes. I remember more than a decade ago telling my mom a business idea....That was to sell cosmetics online. She thought that I was crazy and I would go bankrupt before I could start anything. Huh?! I am so excited that even Sasa sells cosmetics online and ship it internationally now. Click Free Shipping at Sasa.com! to find out what there are for you. If you make a purchase of more than USD49, it will be FREE shipping. Ladies, you and I know that we can spend that amount easily in cosmetics and skin care, right? 3) Watsons and Mannings - They are 2 GIANT chain pharmacies. They have typical cosmetic brands, such as Max Factor, Mabelline and Neutrogena, that you can find in any pharmacy stores in the world. One great thing is that you can try it with the tester, especially lipsticks. They have colors that are only available in Hong Kong. They also have skin products from these name brands that you can't find anywhere, but in Hong Kong. Like Neutrogena, Hong Kong has great facial masks. But I can't find those in the States. It's comparatively more expensive than any pharmacies in the world because of high import duties. It is because Hong Kong government treats cosmetic as luxury. There are a few other Hong Kong Cosmetic Shopping places are recommended by the Hong Kong Tourism Board.